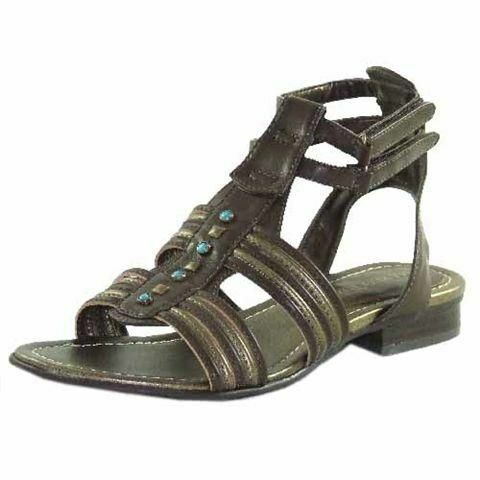 Imitation leather gladiator style sandal in chocolate with bronze & small turquoise gem detailing. Two adjustable velcro fastening at the ankle for extra stability. Cushioned insole for extra comfort.